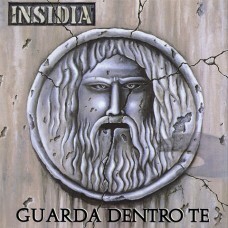 IN.SI.DIA means really cult band for Heavy Metal scene in Italy. Active since 1991 (named as Inviolacy), after the demo “No compromises!” with 4 tracks with thrash sound near to first Metallica sound, especially for the guitar solos, they are noticed by Italian Major (!) Polygram which produces the debut album “Istinto e Rabbia” (“Instinct and Anger”), with Omar Pedrini (guitarist of Timoria band) as artistic producer. This is the first time in Italy an Heavy Metal band signs for a Major. 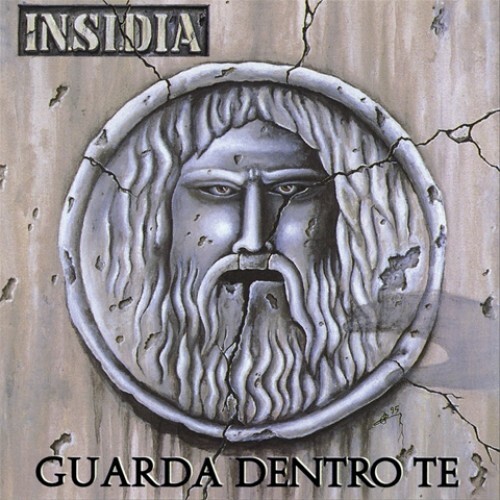 “Guarda dentro te" is still thrash metal but with a darker sound and if possible even with a better production in comparison with debut album. Nowadays is pretty hard to find cd copies of this thrash metal gem, as it’s sold out since a long time. Finally is reissued from Jolly Roger Records on CD in 2012 and then, for the very fisrt time, on immortal LP format in 2015, thanks to license from major Universal Italia Srl (which bought all Polygram catalogue). Thanks to a new and growing interest around the band, IN.SI.DIA come back in 2014, with the same line-up as in "Guarda Dentro Te" except Yard, replaced by Alessandro Venzi (Penthagon) on guitar and by bass-player Fabio Lorini on vocals.